Originally conceived as a film adaptation of the video game Tekken, the film ultimately becomes a sci-fi film whose flaws overshadow its positive elements. Twenty years ago, the government began an experiment with a device called the Power Glove. The Power Glove is to tap inside the power of its bearer. Three notable volunteers for this experiment were police officer Dark and his two best friends Thunder and Combat 21. However, the experiment was a failure due to various side effects. For Dark, he gained weight and learns how long he will have left in the world. Combat 21 goes on the brink of insanity, blaming the government for the failure of the Power Glove. He had kidnapped Thunder and made him his lethal enforcer for his eventual quest for revenge. Nova is a young adapt fighter who after breaking his vow by fighting the current champion Iron Surfer, become friends with him when Nova’s sister Belle becomes romantically involved with the fighter, who also works as a bar owner. Nova’s dream is to get the Power Glove so he can excel in his powers taught to him by his mother Wing. However, what Nova soon learns is that he and his family are being hunted down by Combat 21 because Nova is none other than Thunder’s son, thus enabling him with the DNA that can tap into the power of the Power Glove. Wong Jing, why could you have just ask Namco for the rights to make this film Tekken? Not that it helped. 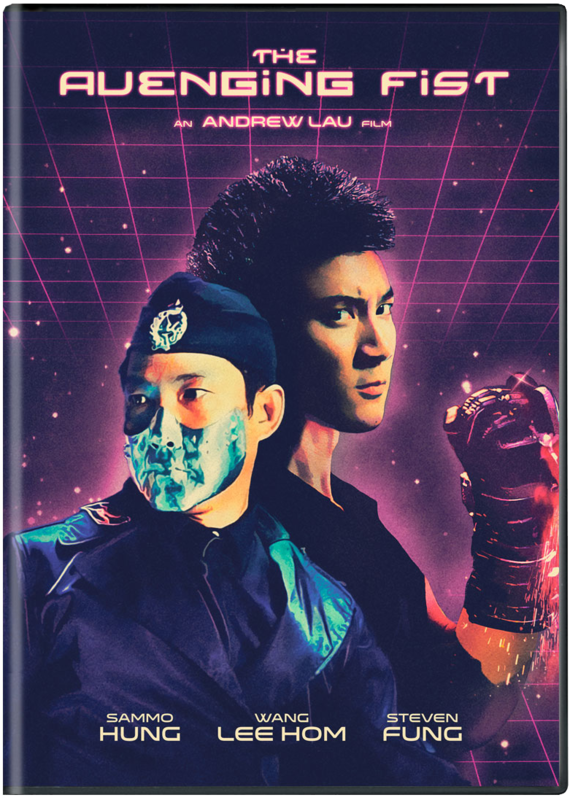 Having succeeded with making the Street Fighter II satire Future Cops in 1993, Wong Jing figured lightning could strike twice. However, the prolific producer made the mistake of not asking for Namco for permission to use the name Tekken upon making the film. Instead, he had Thirteen Chan re-write the script into a sci-fi film which involved a so-called “Power Glove”, which taps into a forbidden zone that can cause death if not used properly or have devastating side effects. However, the film has more flaws despite the team of Andrew Lau and Corey Yuen directing. Luckily, a year later both would find redemption, Lau with Infernal Affairs and Yuen with The Transporter. American-born Chinese actor/musician Wang Leehom appears as Nova in his second film. Wang makes the most of what he has to work with as well as Stephen Fung, whose character Iron Surfer is truly based on the Tekken character of Hwaorang minus all the kicking combinations. Kristy Yeung and Gigi Leung do not offer much substance aside from just playing typical love interests to Fung and Wang respectively. While Yuen Biao does get some action on his side, Sammo Hung is terribly wasted as Dark. Roy Cheung looks like he is having fun in his role of Combat 21, who looks more like M. Bison from Street Fighter than a character out of Tekken. Sadly, the action is a mixed bag. Some of the fights are marred by some pretty bad computer effects, such as Iron Surfer’s first fight against a Bryan Fury-like opponent played by Dutch wunderkind Ron Smoorenburg, thus wasting the Dutchman’s talents. The crashing of Nova’s birthday by Thunder and members of Combat 21’s army is not a bad fight but not exactly one to write home about. Even the finale, pitting Nova and Iron Surfer against Combat 21, is quite a disappointment due to its use of computer effects and unimpressive use of wirework here. This is one film that would have been better. The Avenging Fist is a disappointing attempt to merge sci-fi with martial arts action. Despite the cast’s attempts to make this watchable, the action and lack of use for Gigi Leung and Kristy Yang, makes this film a sad dud. Sil-Metropole Organisation presents a StarEast/B.O.B. and Partners Ltd. production. Directors: Andrew Lau and Corey Yuen. Producers: Wong Jing, Andrew Lau, and Jessinta Liu. Writer: Thirteen Chan. Cinematography: Lai Yiu-Fai. Editing: Danny Pang. Cast: Wang Leehom, Stephen Fung, Gigi Leung, Kristy Yeung, Yuen Biao, Sammo Hung, Roy Cheung, Cecilia Yip, Chin Kar-Lok, Ekin Cheng.